I can’t even tell you how simple, delicious, and pretty this side is. 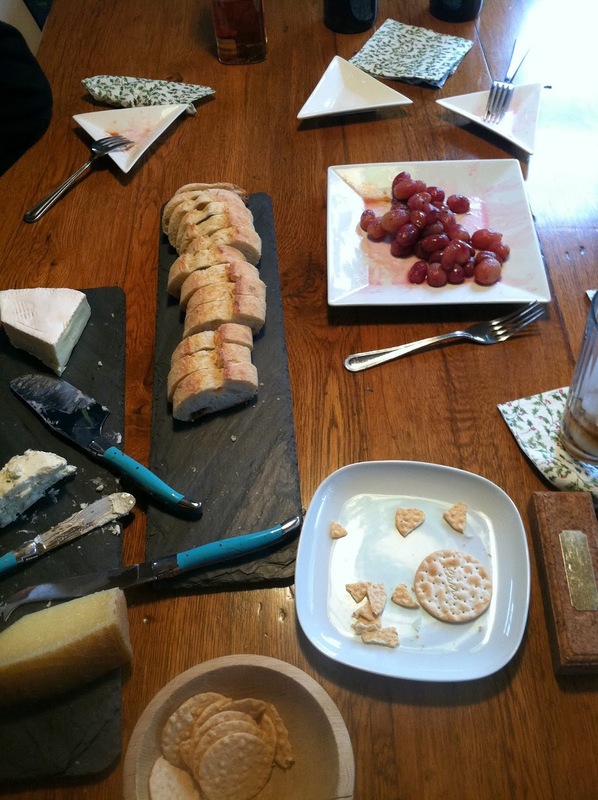 It’s perfect for entertaining – put it alongside a cheese plate, and you have a lovely little spread of hors d’oeuvres. 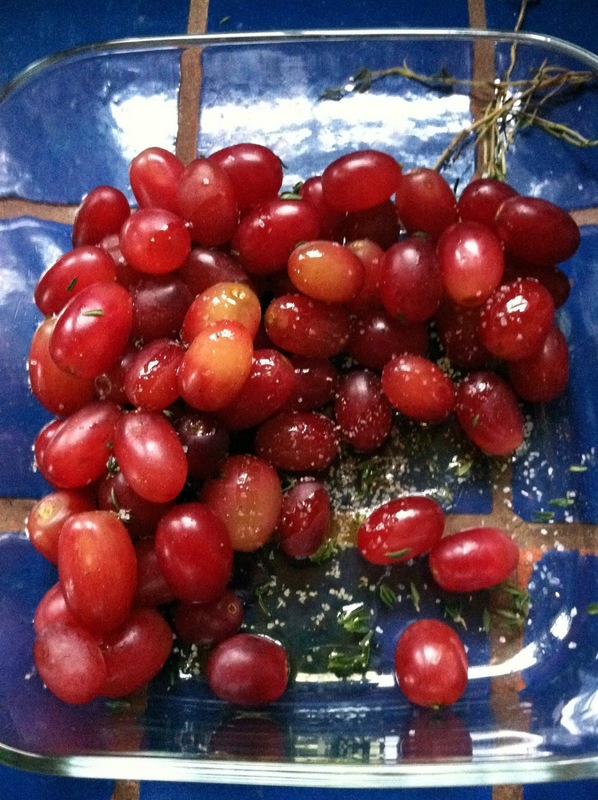 Roasting the grapes brings out their natural sweetness, but that’s balanced by the thyme, kosher salt, and freshly ground black pepper. We love this. Love this. Love this. 2. 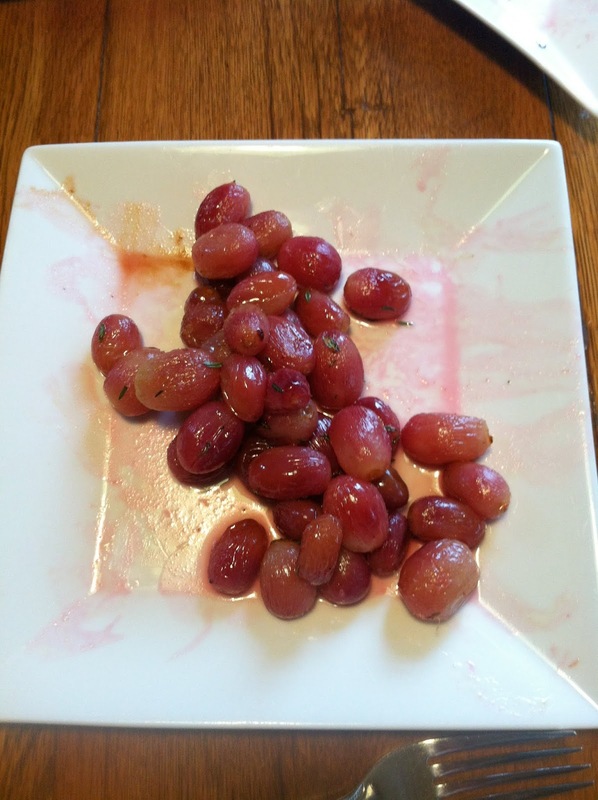 Wash grapes and dry thoroughly. 3. 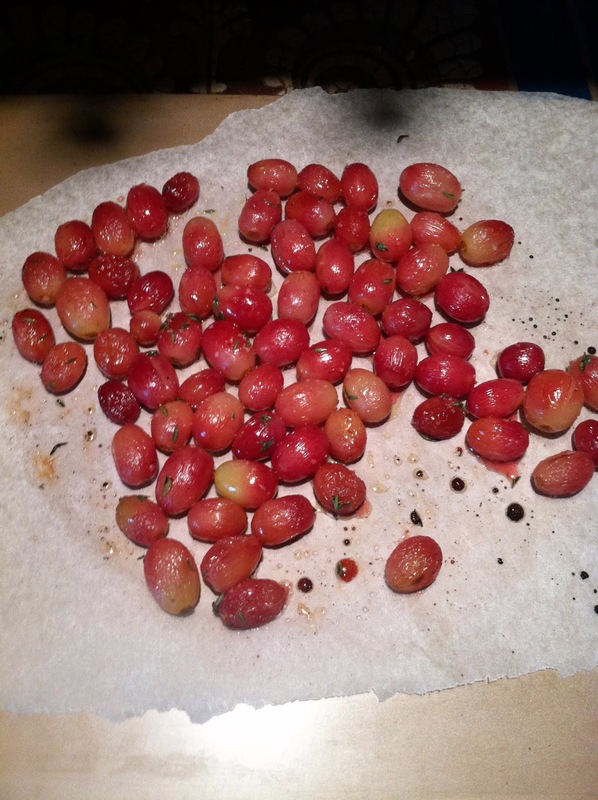 Gently combine thyme leaves, EVOO, kosher salt, pepper, and grapes, then arrange on a single layer of parchment paper. 4. Roast for approx. 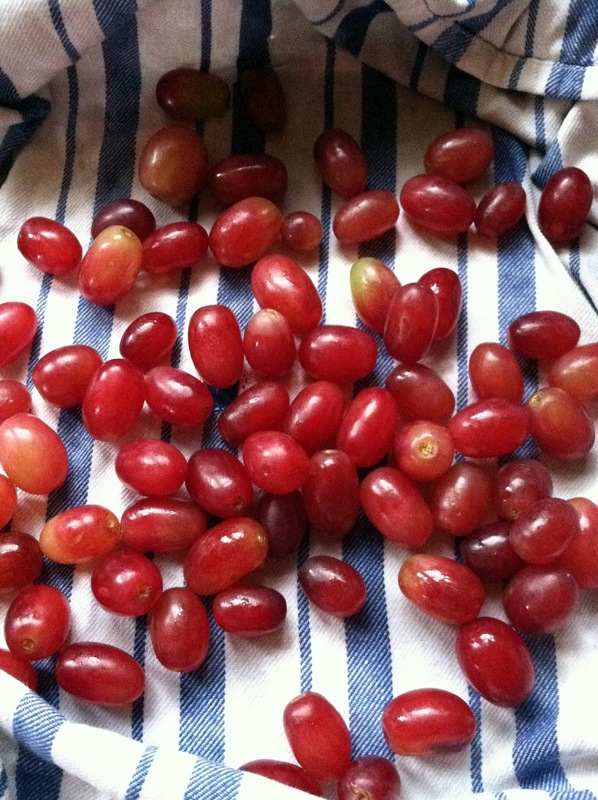 10 minutes, shaking the pan once about halfway through to rotate the grapes a bit. 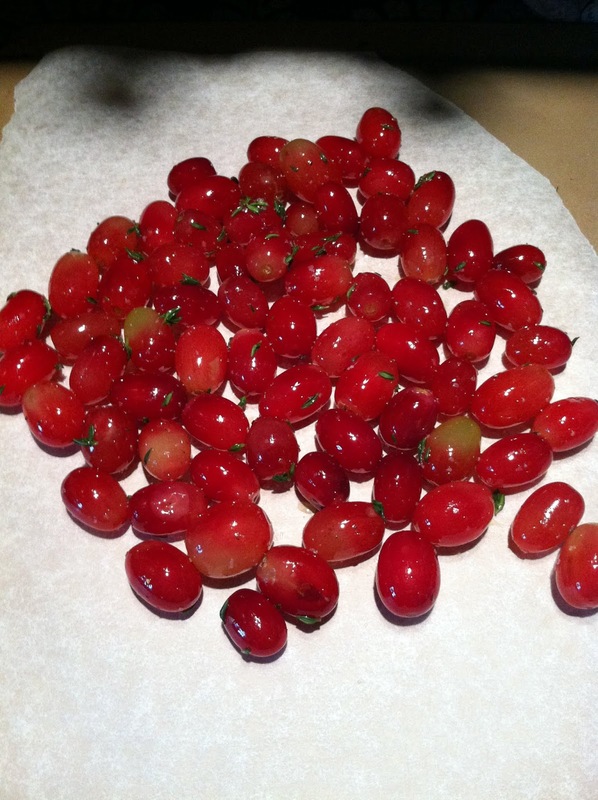 The skins of the grapes will split and wither slightly – this is when you know they’re ready to come out of the oven. 5. 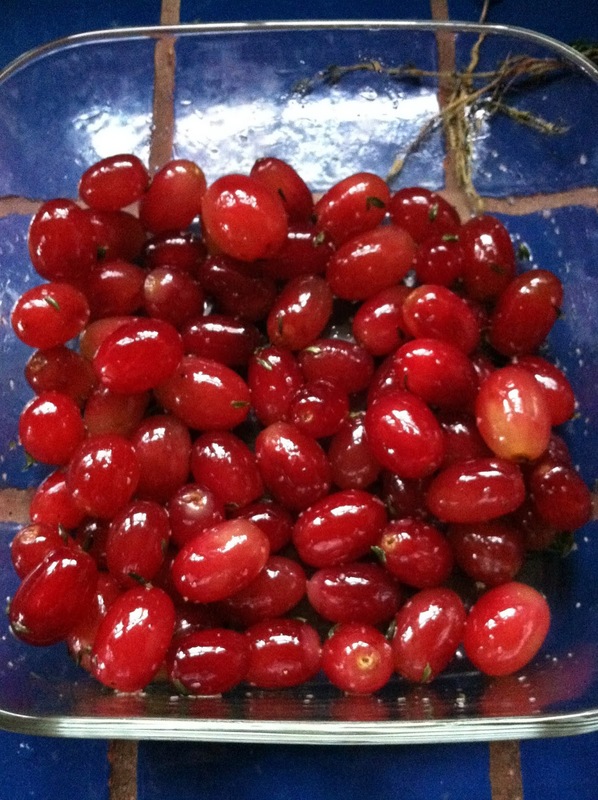 Serve warm or cool alongside whatever other hors d’oeuvres you have, or just enjoy on their own! 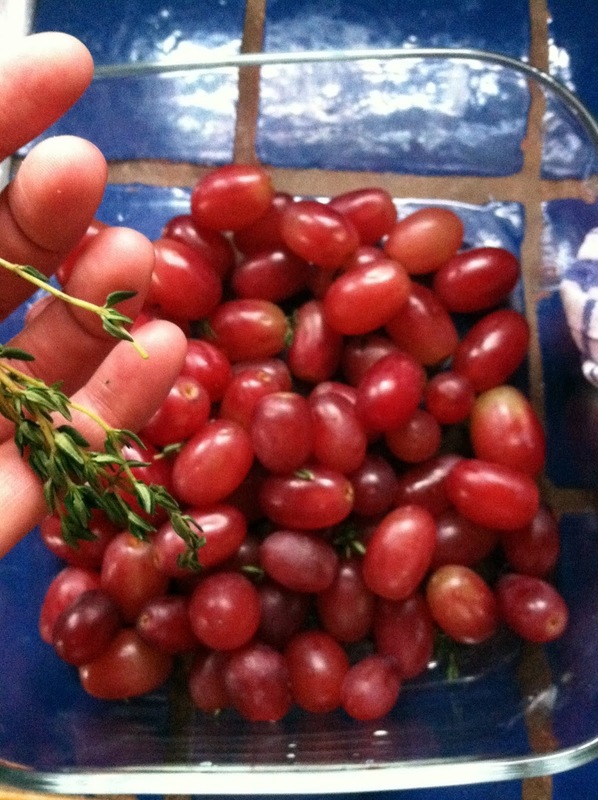 This entry was posted in gluten-free, hors d'oeuvres, paleo, roasted grapes, sides, vegetarian on December 23, 2012 by westyn.